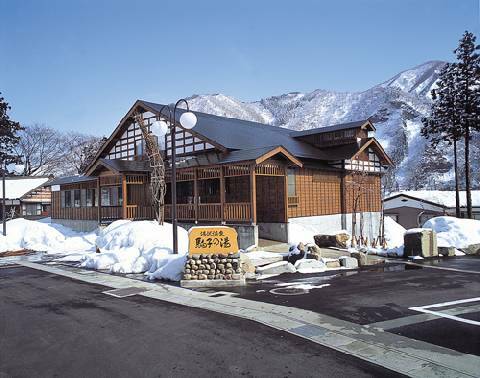 A public bath named after Komako from the novel "Snow Country". Baths can accommodate around fifteen people and there are partitioned areas for washing. There are also tatami mat rooms for relaxing and a "Snow Country" exhibition corner. Get on Muikamachi Line buses from Echigo Yuzawa Station.